Elvis with his Harley-Davidson. . HD Wallpaper and background images in the Elvis Presley club tagged: photo elvis presley the king motorcycle harley-davidson. 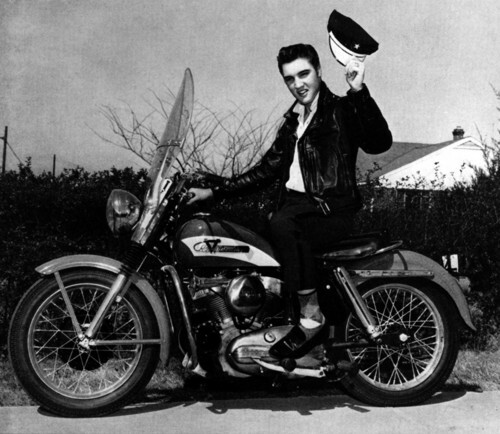 This Elvis Presley photo contains motorcycle cop, motorcycle policeman, and speed cop. There might also be motorcycle, bike, and motorcyclist.